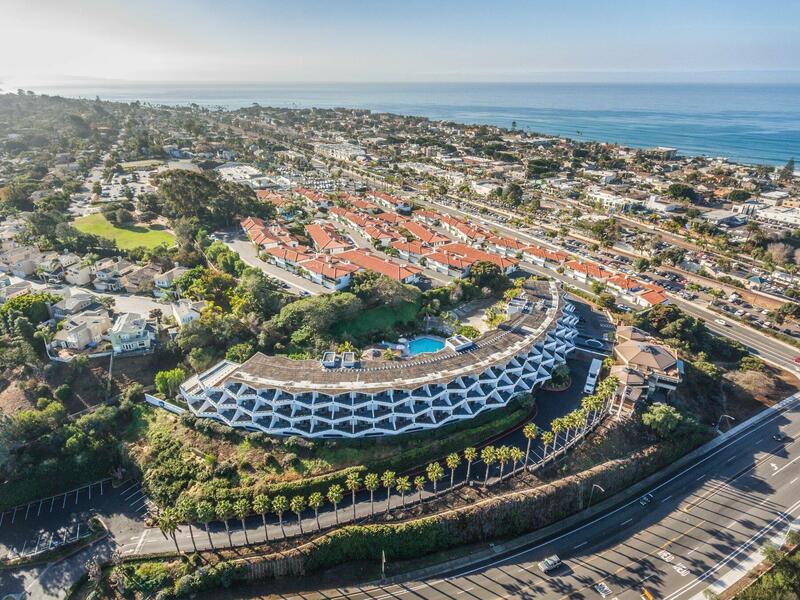 The best attractions and things to do – on sea, land and air – in Encinitas are beckoning just outside the BEST WESTERN Encinitas Inn & Suites at Moonlight Beach. With six miles of spectacular Pacific Ocean beaches and postcard-perfect waves, it’s no surprise that Encinitas was recently named among the 20 best surf towns in the world by National Geographic. It’s also known as the "Flower Capital of the World" due to the several nurseries and gardens, the most famous of which is the San Diego Botanic Garden. The quirky downtown Encinitas area is a laid-back, free-thinking network of shops, coffeehouses and independent record stores. Want tips on what to see and do? When planning your visit to the BEST WESTERN Encinitas Inn & Suites, our staff is happy to help with your adventure by recommending some of their favorite attractions and things to do in Encinitas and beyond. For fun times in the sand and sun, Moonlight Beach is the perfect place. It offers a great play area for the kids and is very family-friendly. From surfing to sunbathing, you can also enjoy energetic activities while spending quality time on the beach. Considered one of the top twenty surf towns by National Geographic, Encinitas should definitely be on your itinerary. Wander around the downtown area and browse through great surf shops, quirky coffeehouses and various records stores. Plus, you have to sample the many delectable restaurants in the area for scrumptious seafood, mouth-watering burgers and so much more. While you’re in downtown Encinitas, a visit to the San Diego Botanic Garden is a must. You can experience thousands of stunning plants from around the world. There are also 37 acres of exhibits that will leave in awe of their extensive beauty. In addition to the Del Mar National Horse Show in April, the San Diego County Fair in June/July, and the Scream Zone in October, the Del Mar Fairgrounds is the site of nearly 350 events annually, including equestrian and other animal shows, concerts, craft shows, home shows and more. Enjoy terrific family fun at this popular theme park that’s designed for children of all ages as well as the young at heart. Go on exciting rides, see unforgettable attractions and make sure to sample a wide range of great events. It’s the perfect place to explore with your entire family. From thrilling roller coasters and an assortment of other fun rides to animal experiences and amazing aquariums, Sea World has it all. Enjoy an exhilarating selection of activities and events that will make you appreciate the animal world more than you ever imagined. Viewed as the historic center of San Diego, Old Town has the distinction of being California’s first settlement. Today, you can take advantage of Old Town’s many spectacular qualities. From its radiant gardens and impressive array of specialty stores to its eclectic restaurants and historic sites, you’ll have plenty of wonderful options to choose from during your visit. Whether you enjoy touring specialized museums, strolling through lush gardens or taking the kids to the famous San Diego Zoo, you can always find something memorable to do in Balboa Park. It’s a place that offers culture, science and nature all in one scenic location. Located in Balboa Park, the San Diego Zoo serves as the residence for nearly 4,000 animals of over 650 species and subspecies. While you’re in the area, a visit to this spectacular zoo should not be overlooked. As a celebrated pioneer of open-air, cage less exhibits that are designed to offer natural habitats, the San Diego Zoo is a magnificent attraction to experience. If you love to explore art galleries, specialty shops and restaurants, Coronado Island offers all of these popular attractions and so much more. Delight in the palm-lined pathways and various amusements that are accessible to you. In fact, it’s so lovely and peaceful here that you could simply relax and take pleasure in the scenic beauty of the bay. Whether you’re looking for a romantic fine dining spot, the best pizza in Encinitas, the perfect place for sunset cocktails or a setting where you can kick back with a little live music, check out Encinitas. It offers a fantastic dining and nightlife scene that you simply have to explore! Encinitas is just a short drive from the best beach towns in Southern California. Each one has its own style, culture and vibe. Find out more before you go!